I’m R. I’m six years old. I live in San Jose, and my quilt is called Mixed Up Signs. 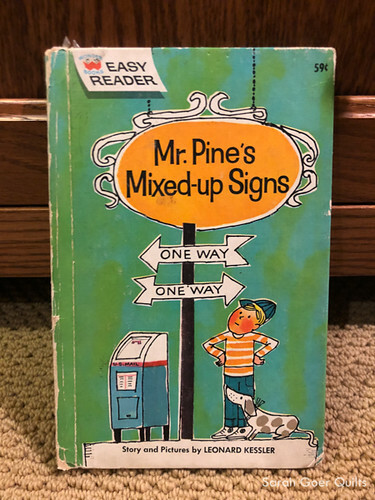 I got the idea from an old kids’ book called Mr. Pine’s Mixed Up Signs. My quilt has four arrows pointing in all different directions. One block (top left) is themed “England," one (bottom right) is “Dots," one (bottom left) is “Outdoors," and one (top right) is “Random.” The white in my blocks are white-on-white. And my thread number is #2735 (Aurifil 50wt). The thread color is Medium Blue. The reason I made arrows is that my Mom was making half-square triangles, and I told her that they looked like half an arrow. And she said, “How would you make an arrow?” And I said that I would write it down. So I did. And we started making them. But first she said that there was a challenge, and I asked, "what is the challenge?" She said it was only red, white, and blue fabrics. And I said I wanted to do that challenge with arrows. I learned that I can make arrows, and that books can inspire you. Linked up to Project QUILTING 10.2. R's quilt is #72 in the linkup. And my submission is #74. Voting is open! You can vote for your ten favorites. 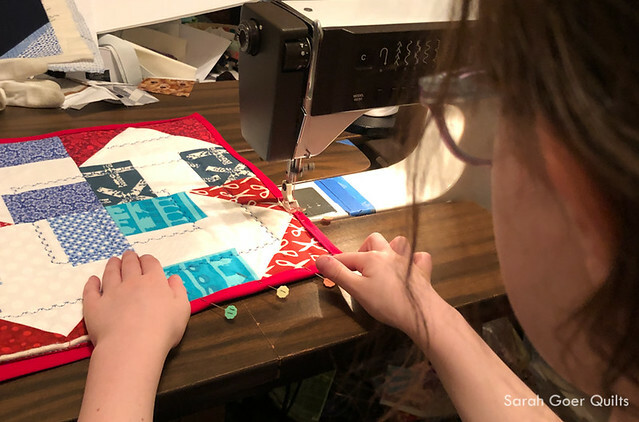 Posted in Kid Stuff, Quilting. 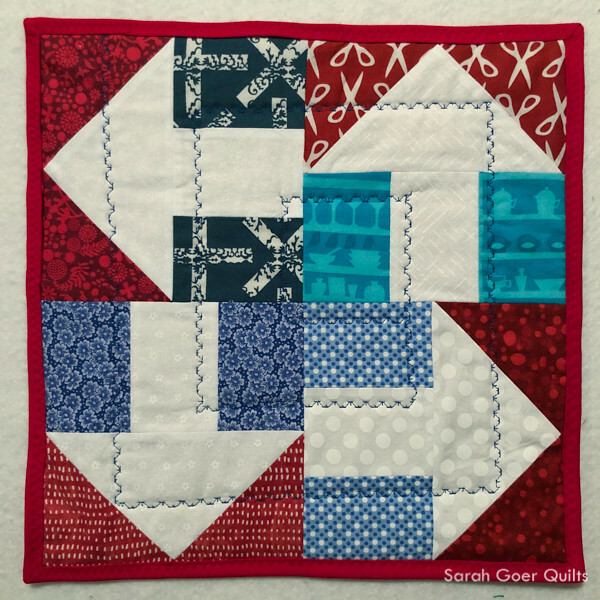 Tags: challenge quilt, finished quilt, made by R, mini quilt, Project QUILTING on January 26, 2019 by sarah. Well done R! I absolutely love your quilt❤️. Thanks for sharing your creativity. This makes my heart happy! You did such a fabulous job R! I'm very proud of you and your work! Very inspirational - books and arrows in many directions. You did a great job designing and making your quilt. Thank you for sharing your process! Well done, R. You did an amazing job. Maybe you'll join in for the next challenge. You were inspired by a fun book and I am inspired by you! 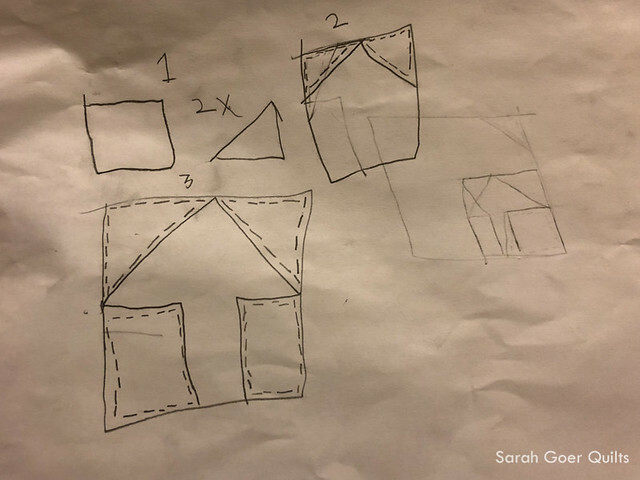 I love how you thought about the half square triangles and thought about making arrows with them. 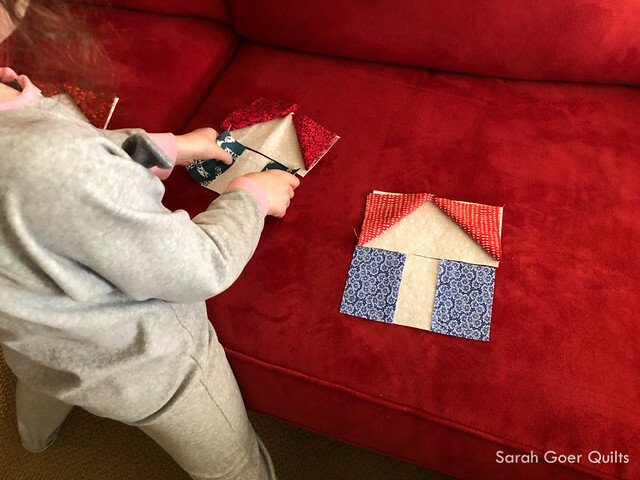 You used some great red white and blue fabrics too! 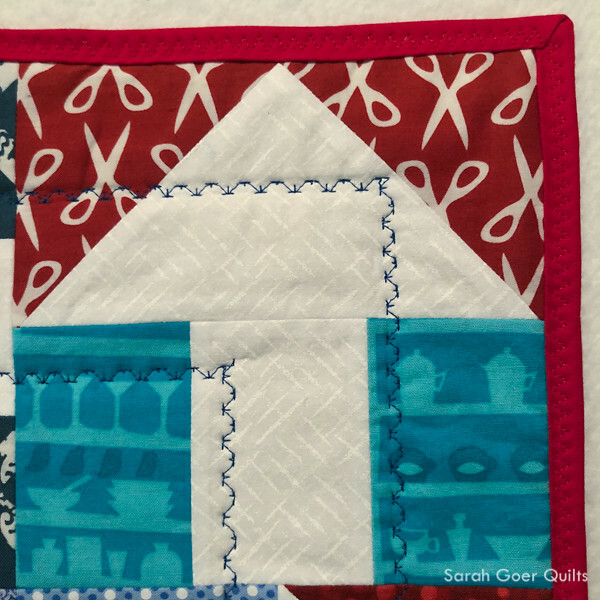 Two things about your quilt that make it extra pretty are facing the arrows in all different directions which makes it fun for my eyes to look at. 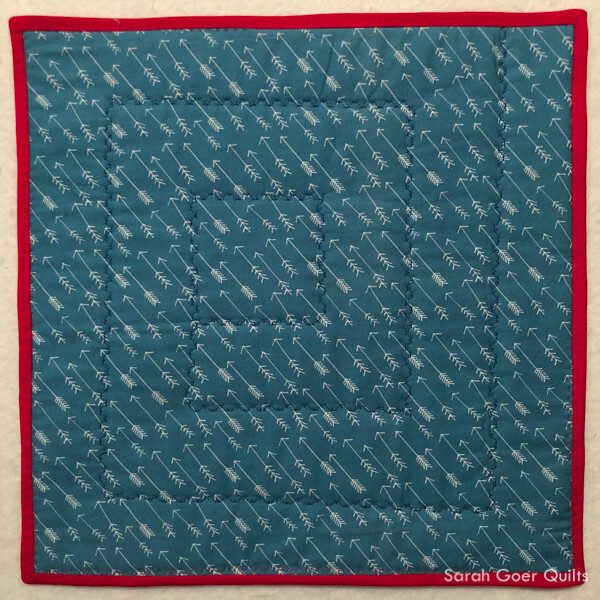 The second thing is the pretty stitching you chose to use for the quilting. That is very creative and makes your quilt look so fancy. I hope you do quite well in the PQ10 challenge this round. I know I am voting for you!!! I really like that you found inspiration in a book, R; they can be fantastic sources of inspiration! I also like that each arrow has a theme. R, you did a great job with this quilt! I really like your arrows and that each block has a theme. You also did a really great job explaining your process--how your idea started, how you drew it out, and why you made the choices you did. That can sometimes be really hard to put into words. Congratulations, and I look forward to seeing what you make next! 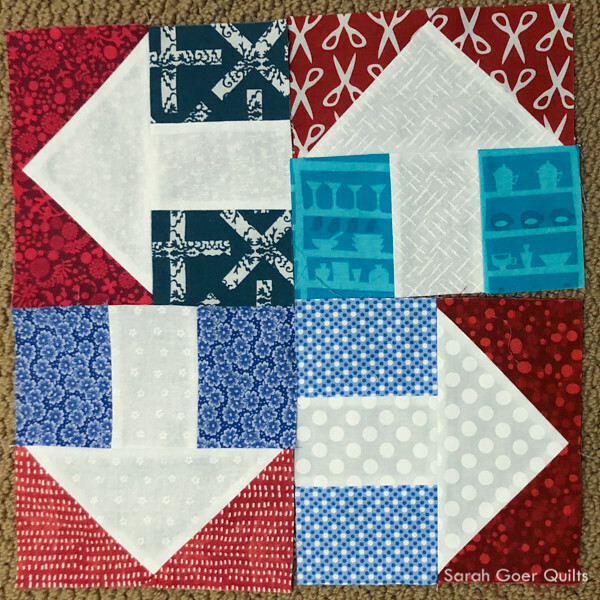 I can hardly wait to see your next quilt! Great job. 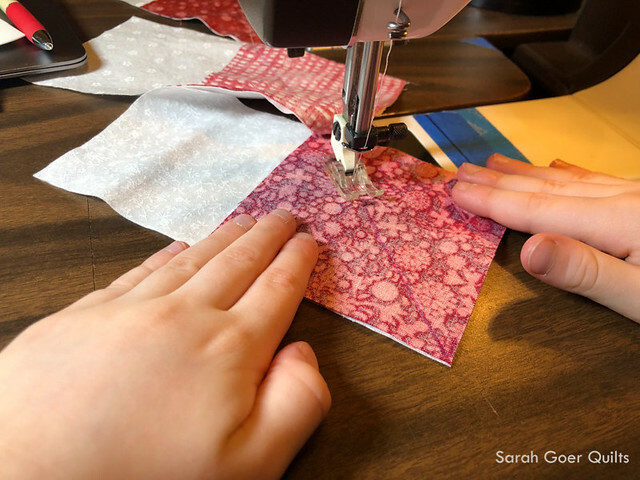 Welcome to the Project Quilting fun R!! I love your inspiration, design process and finish!! Sorry I missed your show and tell earlier this week. You got my vote!! Well done, R! And thanks for sharing your inspiration. You picked the perfect backing too!